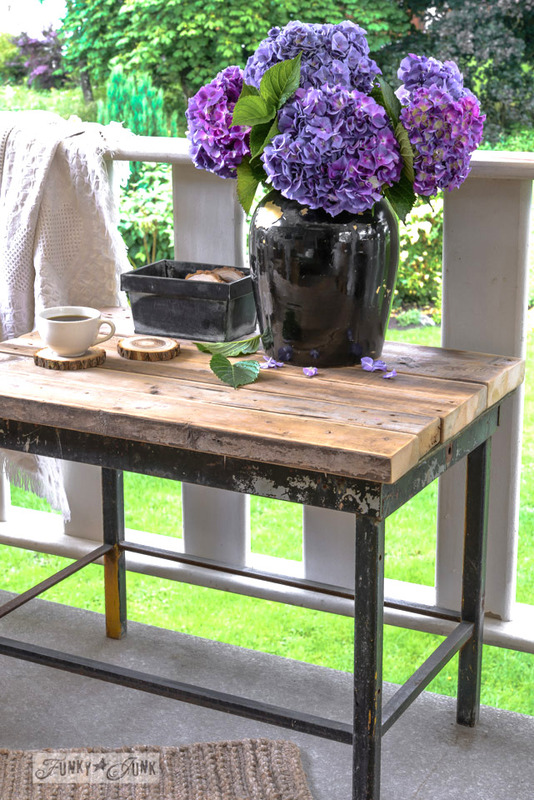 Remember this little patio table from last summer? While ending the day on the (still very undecorated) patio tonight with coffee in hand, I sighed. My patio still needed a facelift. During the spring, I had pressure washed everything, and it’s been sitting, waiting for me to do something… anything to it. I started taking some things apart, using that cute little patio table as a dumping ground. I LOVE taking stuff apart! New wood to play with! It was just a crate I built some time ago that I never liked nor showed online. Then it blended into a toolbox I no longer needed, and some other things. And then… I eyed the table. Hmmm… yeah. It needs a new look too. That’s really the beauty of a repurposed build though, isn’t it?! You never spend a bundle on your stuff, so to replace it really isn’t a big deal. 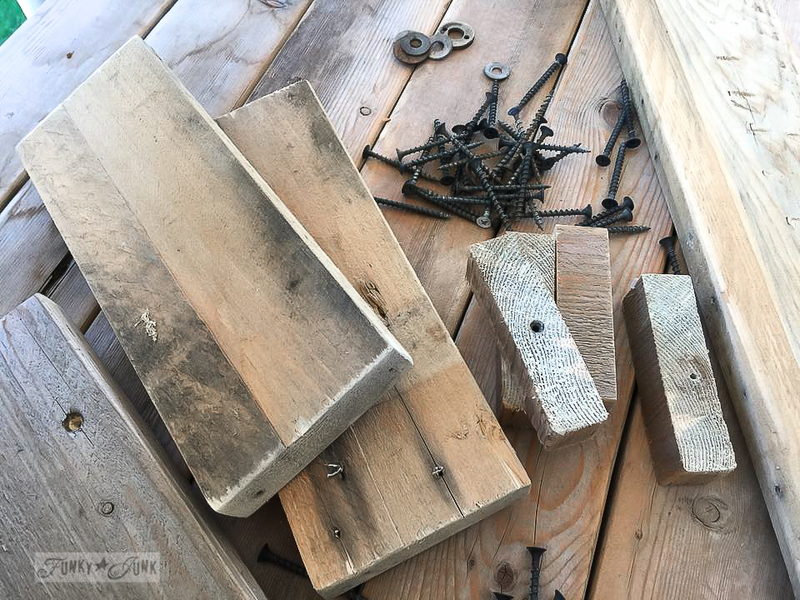 And a few screws loose later, (don’t you dare…) you have yourself new building material again. Wanna see one of my inspiration pieces? I picked up this beauty from a Maui swap meet. I LOVED the mixed up prints and colours. The big bold letters remind me of my old sign stencils. As I was walking by this table, naturally the burlap caught my eye. And these two sweet guys. Ever walk into a store and be more intrigued with the fixtures than the merchandise?! That’s me… all the live long day. They looked at me like I was asking to take their garbage away for them. Aw man!!! I tried to give them money, but they 10000000% just refused. That’s that Aloha spirit cranked up on high for sure. Well anyway, this is one of the few souvenirs I brought home with me, and it totally is inspiring a new patio look. Anyway, my point for this post is, we all have stuff we eventually get tired of. And for me, when I see the same ‘ol all the time, my passion starts to fade for my place. I really love change, and fresh takes on things. Feeling the way I have lately, I really want to crank the new factor up in a few areas. 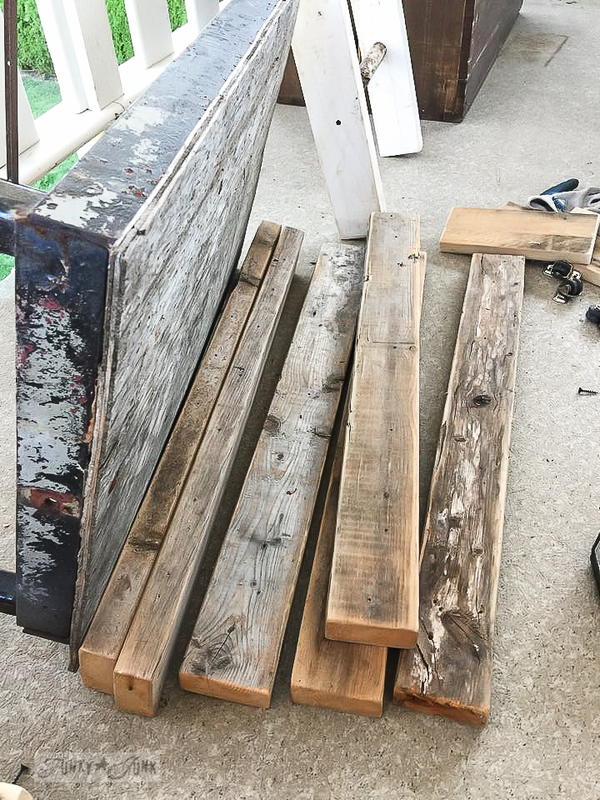 Repurposing is so much more than just collecting junk. It’s a creative lifestyle, that begs you to practice it again and again and again. How about you? Do you change your stuff out lots? How do you deal with the surplus? Love this post, and couldn’t agree more! I become bored with a space so easily I sense it may become frustrating for the engineer, ;), but thank goodness my style and the junk pile lend themselves to quick and easy updates and a whole new perspective! Have a great day Donna! I am now less than two weeks away from ditching one of my “real” jobs so that I can devote more time to blogging. Yay!! Hello Donna -I do understand what you’re saying! I change my things up – A Lot! Mainly outdoors because that’s where inspiration hits my soul. When summer comes to an end I start to fad a bit somewhere at the high 90 degrees approaching 100. I love the sun but not when it keeps you indoors. I have some projects brewing in my head and I’m excited about starting once things cool off. I really enjoy your laid back spirit. I wish I could be more like that. What a blessing it is that you get to travel and visit new places to find treasures. I’m a bit jealous. 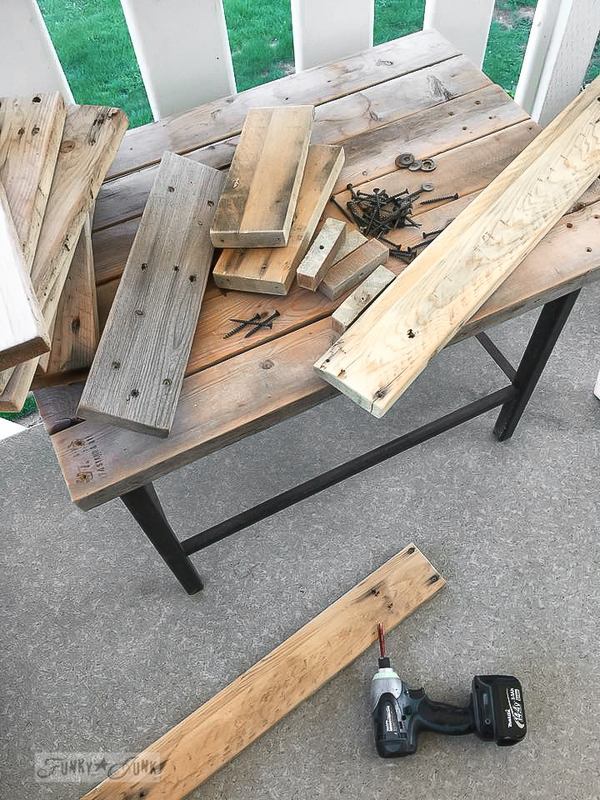 I repurpose some but don’t have the courage with the power tools or the vision with simple boards like you. You make some neat stuff! I’m looking forward to seeing how your project turns out. Great post and great message. I went to the scrap yard again yesterday and the mountains (mounds!) were taller than ever. I could have just pulled up a chair and sat for 30 minutes just looking at one side trying to figure out what everything was. The unfortunate thing is 90% of it is already bent, crushed, twisted beyond use. If only we could reuse it before it gets there with a lot of it! You are so lucky. NO scavenging allowed at our recycle center. 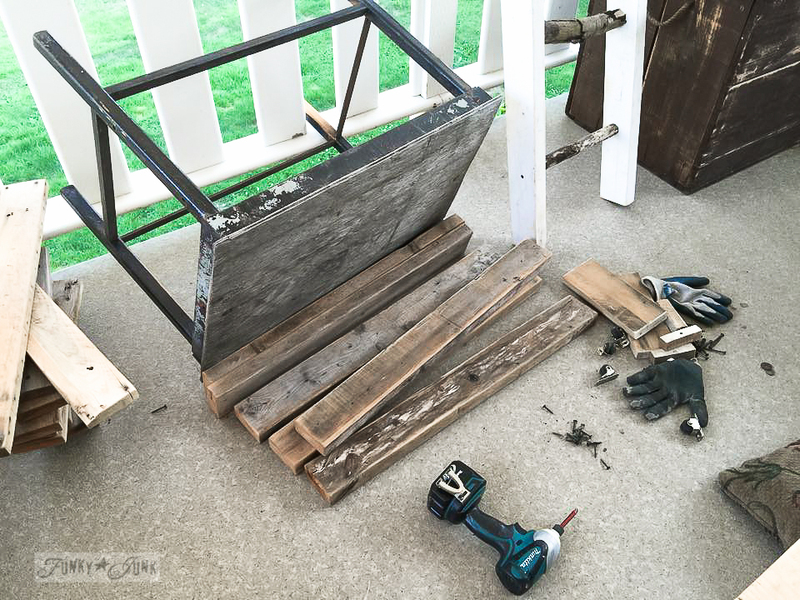 Because of Susan, your post about taking apart your home-made furniture really spoke to me. I’ll forward i to her for the chuckle she’ll get out of seeing what her sister-under-the-skin is up to…..
LOVE your take! And ok about the swap meet, I’ll work on that soon! Please, please, PLEASE post more of the swap meet! As a girl born and raised in Hawaii (who hasn’t been back in about 5 years) I need more Hawaii-style swap meet! I have poured over all of you Maui posts, and although I’m from Oahu, it’s all Hawaii to me! What a great inspiration piece, I’m sure looking forward to seeing what your creative mind will do with it. Yes, yes!! Let’s see more of the swap meet. I would love to see what a Maui swap meet is like. So kind of those guys to give you the burlap for free. By the way, my patio is not decorated either. ? Let’s see the rest of those Maui souvenirs you got! YES YES YES AND YES. Do we want to see more of the swap meet? Plus your pictures are beautiful. If we can’t be there we want to see pictures. Let us re imagine thru your pictures and, like you did on your drive to nowhere, dream of what it could be. Keeps the creative juices flowing. This post was so disappointing. I was so ready to see what you decided to do with your little table and….. no no no you left us haanging and wanting more!!! PLEASE do something wonderful and share. What did you do with your inspirational coffee bag? I have one and not sure what do do with it other than making a pillow. Hi Nancy, I haven’t done anything yet, I’m just using it to inspire me along the way. I’ll post more as I do it for sure! 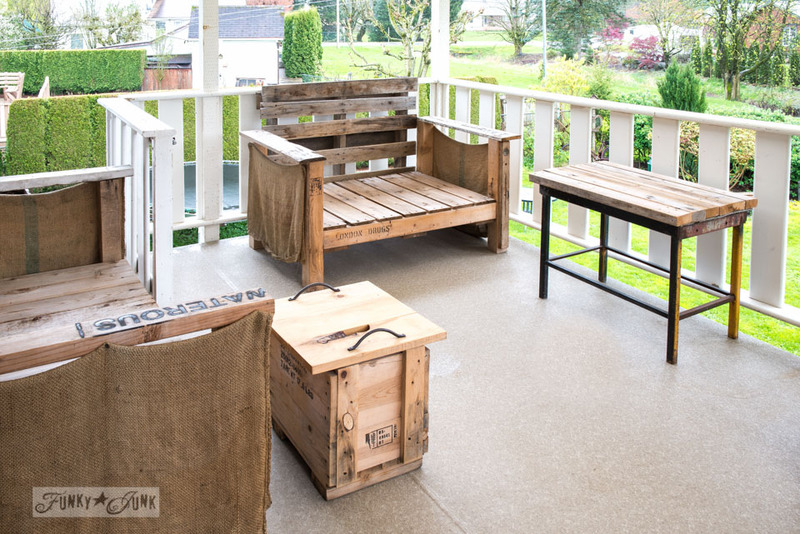 I also have a great burlap bag to repurpose, I really hate to cut it up and could use some inspiration, both sides have printing… Looking forward to see what you are doing with the bag and table…. OMG…they just GAVE you that awesome coffee sack, just like that??? Don’t they know these things are going for a premium now? GREAT SCORE, DONNA! 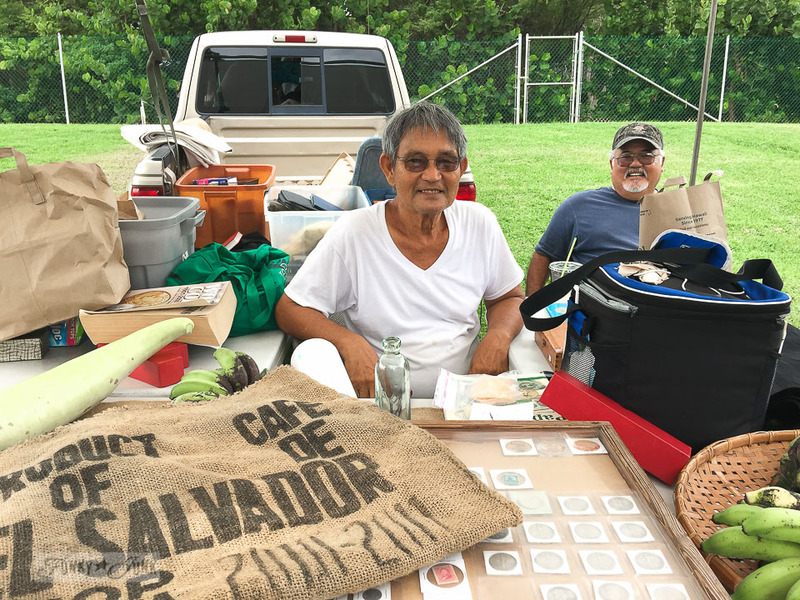 And yes, I sure would love to see more of the Maui swap meet…not only has this coffee sack intrigued me, but so have the faces behind it…I’ll bet they have some stories to tell! I think that was my fave thing about Hawaii…the people! One of the reasons that I like your blog so much is that you are brave…you take on challenges and change like they are your reasons for living and maybe they are? I’m not good with change at all…and not brave like you, either…that’s why I have to come to your blog to live vicariously through you! 🙂 I can’t wait to see what you do to your patio and how this amazing coffee sack inspired you! I always get bored with pieces and rooms. I have several pieces in and around my home that are on their 3rd or 4th reincarnation. I have even swapped out indoor furniture/lighting, etc. for outdoor furniture/lighting, etc. and vice versa. Love to see the swap meet. Other items that I just don’t use or do not want to redo I put at the curb. My neighborhood is great at sharing resources whether it is a piece of furniture or building supplies. It’s an old neighborhood and we all are always in some stage of repair or renovation. Items typically last little more than an hour. Yeah! Swap meet pictures please. I love old flour sacks and grain sacks. Oh Donna, I would l-o-v-e to see more from the Maui swap meet! That was so nice of those two men to let you have the burlap bag. I’m seeing some sort of throw rug out of it? I too used to get bored with my decorating…..until I found my absolute love – colonial primitive. I lean more towards the side of primitive which means the more banged up the better. My husband asked me the other day “What decorating style are we” (I love that he called it “we” since he basically doesn’t have any decorating sense – lol). We decided to call it primitive comfortable. The colors and items have to be warm and comforting. 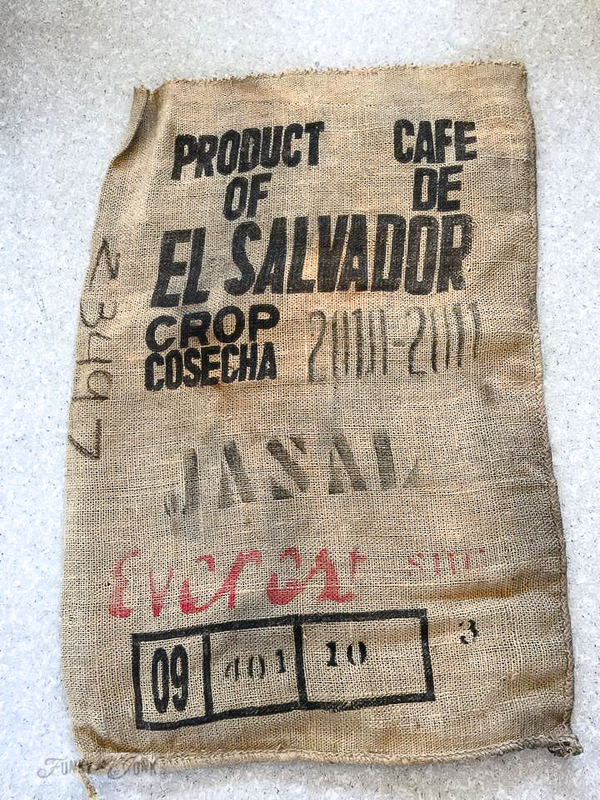 Was your burlap bag from coffee????? Yes! 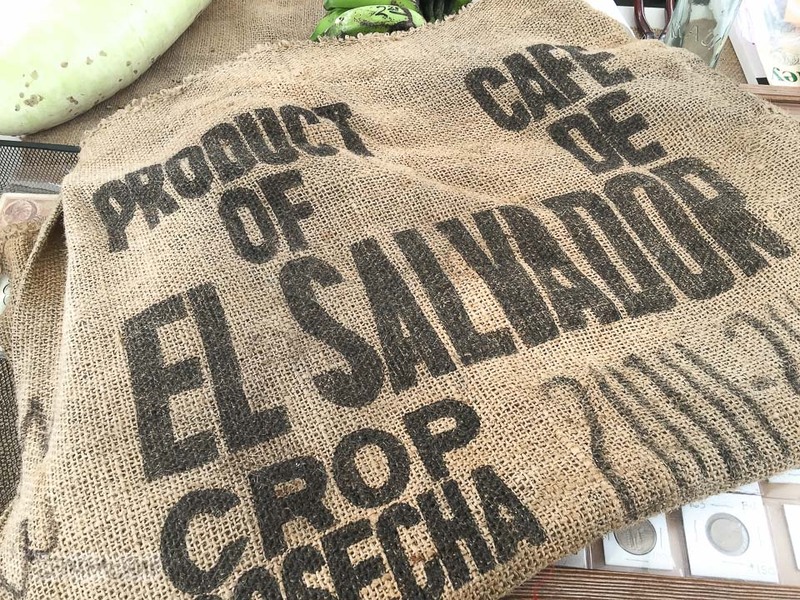 The burlap bag is from coffee beans. So cool! I would love to see more of the Maui Flea Market. What did you do to the table? YES! Please, would love to see the maui swap meet! Living my life through your adventure!